Dermal Fillers enhance and restore volume, correct asymmetries, deliver deep skin hydration, soften lines and wrinkles and restore fullness and definition to lips. Dermal Fillers range in thickness, viscosity and characteristics which means different areas of the face require a specific type of dermal filler, one single filler type will not perform all treatments. Dermal Fillers are a smooth injectable gel made from hyaluronic acid, a type of complex sugar chain that is naturally present in body tissues where its primary role is to attract water and helps provide hydration, volume, structure and elasticity to your skin. Dermal Fillers fill the space of volume loss improving lines and wrinkles and increase your own hyaluronic acid to boost collagen and elastin production producing a natural and youthful appearance. Before treatment, your treating Registered Nurse will clean the targeted areas, and you may be given a topical anesthetic to numb the area. The targeted areas are mapped out to ensure treatment accuracy for the best results and injected with a precise amount of filler. As with a lot of cosmetic anti ageing procedures, the longevity of the product can vary between individuals. Dermal Filler results are long lasting but not permanent and are biodegradable meaning they will naturally disappear into the body. Some clients (very active athletes, smokers, and highly stressed individuals) may find that the continuation of the product reduced. Avoid topical products: Tretinoin (Retin-A), Retinol, Retinoids, glycolic acid, alpha hydroxy acid, or any “anti-aging” products. Avoid waxing, bleaching, tweezing, or hair removal cream on the treatment area. Every medical procedure carries risk, and it is essential that you understand the risks involved. Please ensure you have had the process adequately explained to you before undergoing treatment and have read and followed all of the information provided to you before your Dermal Filler treatment. There is a small chance that dermal filler treatment may induce an outbreak of cold sores in people with a previous history. Immediately after treatment, there may be some redness, swelling, tenderness or a mild itching sensation in the treated area. This is a typical result of the injection and generally disappears in a few days. You will feel the product within the skin. It will take some weeks to settle into the surrounding tissue softening as it does so. The initial swelling after lip treatment may last longer. If symptoms persist or other reactions occur, please contact the clinic. Where possible, use the 3 C’s of post-treatment outlined below. Apply a cold compress for 10 minutes every hour on the day of treatment (do not apply ice directly to the skin). Do not expose the area to intense heat (e.g. solarium/sauna). Avoid pressure to treated areas for the first few nights (especially if treated with cheek filler). Try sleeping on your back. Pain relief such as Panadol if needed to maintain comfort (avoid the use of Aspirin). To reduce any bruising, you may apply a topical treatment like Arnica or Hirudoid cream. Do not use AHA’s (Alpha Hydroxy Acids), Retinol (Vitamin A), Vitamin C or oil based make up for the first 24 hours. Avoid facials, facial waxing, Glycolic or AHA/BHA skin peels, IPL or energy-based treatments, skin needling and microdermabrasion for two weeks after treatment. 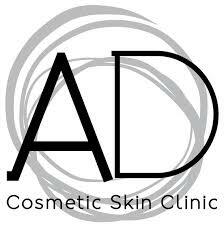 Please check with the clinic before undergoing any other facial treatments within this time. Do not massage the treated area unless instructed. A follow-up appointment two weeks post is necessary to assess the results. You may require additional units at this visit to achieve the desired effect. The duration of dermal fillers increases with repeated treatments. Most clients choose to repeat the procedure in 6-12 months. Lips usually require retreatment in 6 months. Further treatment within 2-4 weeks may be necessary to achieve optimal results.